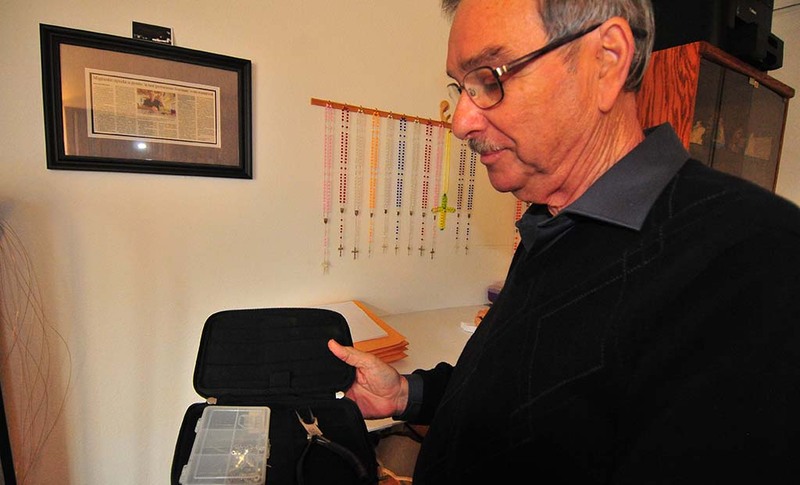 A cancer-stricken woman was given no hope of recovery, but a friend gave her a rosary. For three months she recited the “Our Father” and “Hail Mary” prayers. Upon returning to her doctor, she was found cancer-free. The physician was astonished. 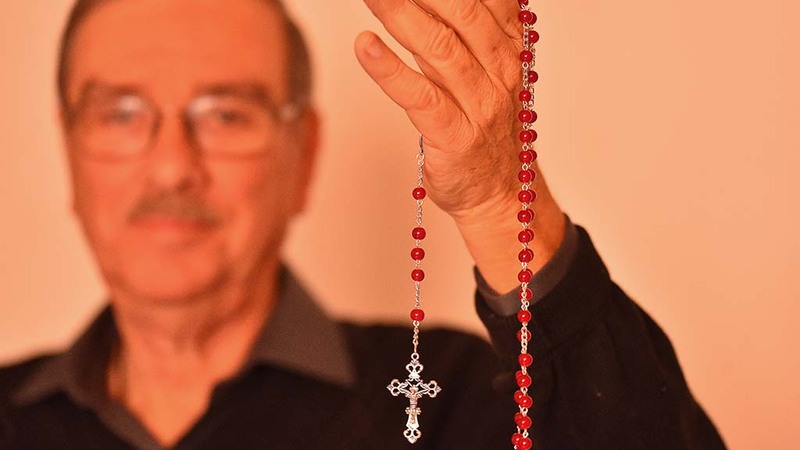 So says Tony Blanco, a retired businessman, recalling one of his rosaries and the impact it made. Blanco chokes up as he finishes the story. 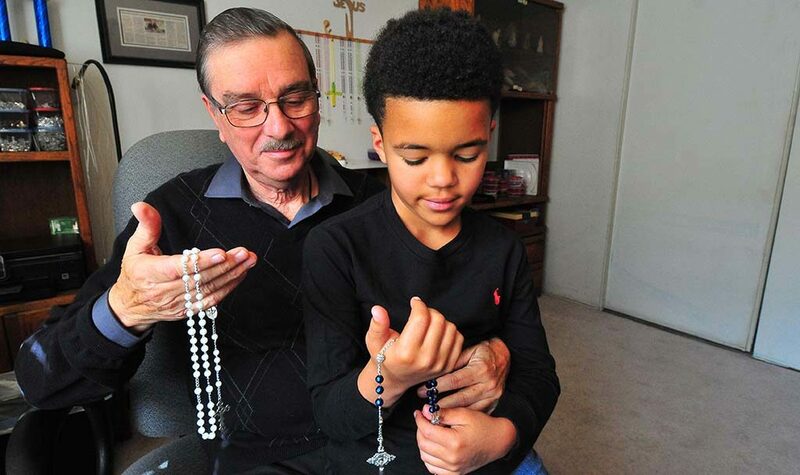 A parishioner at Corpus Christi, Blanco makes rosaries — beaded prayer guides —and gives them away in hopes of reviving the Roman Catholic tradition in a technology-distracted world. 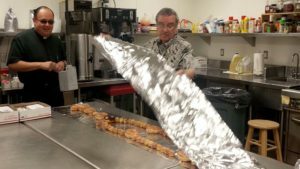 Blanco, a church hospitality minister, brings his homemade devotions to church every Sunday and hands them out to unsuspecting parishioners. “I didn’t know what to think,” said Jennifer Cromwell, seated in the pew in front of Blanco. “Not many people just give you something randomly, but I did appreciate it. 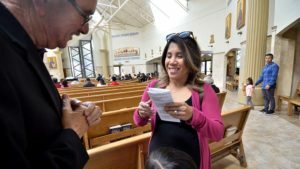 It made me feel special,” she said after Mass. Church isn’t the only place he distributes his colorful rosaries. 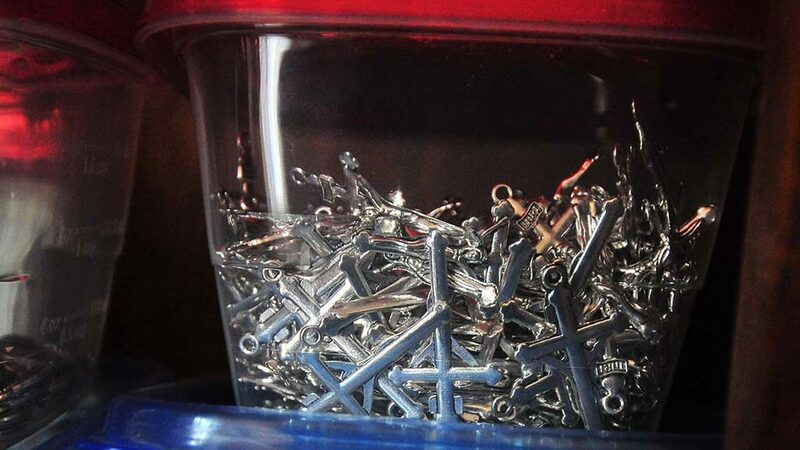 He’s been known to give them out at restaurants, doctor’s office waiting rooms, airplanes – almost everywhere he goes. As Holy Week neared, he was making white rosaries for the children in the parish who will receive their First Communion, for people in Tijuana and for the pastor, the Rev. Efrain Bautista, to send to the Philippines. 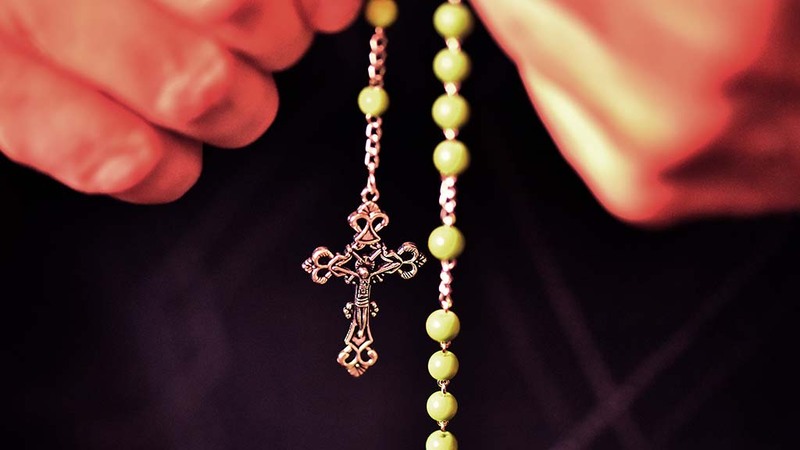 But he concedes that the rosary isn’t prayed as often as in prior generations. 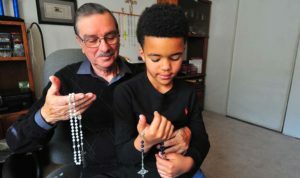 Blanco’s rosary recipients mostly greet the gift with appreciation, he said, but about one in 500 people reject it — some declining because they are not Catholic. 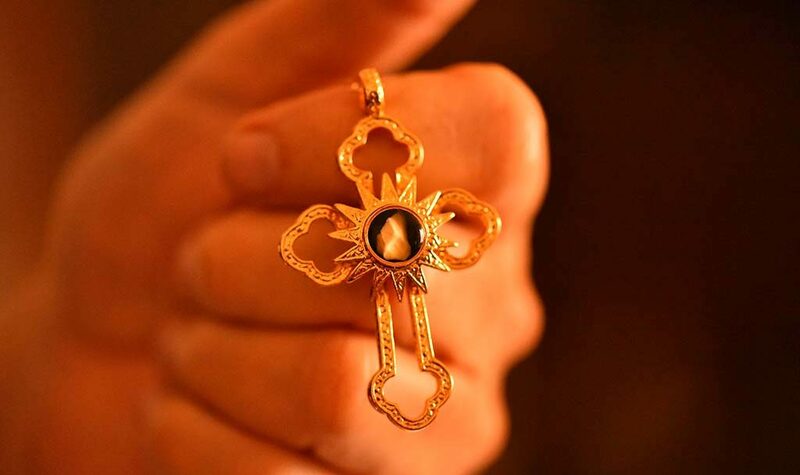 Commercially made rosaries range from less than $1 to a 14-karat gold edition priced at $42,694. 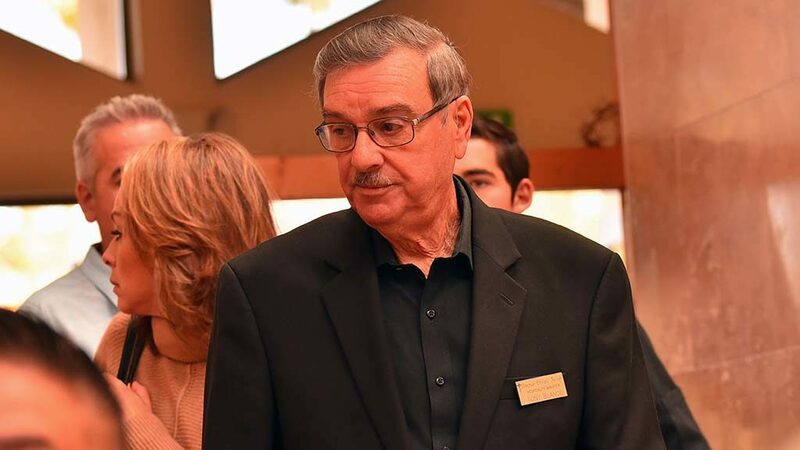 Blanco never accepts money for his, but his daughter has occasionally accepted a donation to defray material expenses. He has taught others in his family the art. 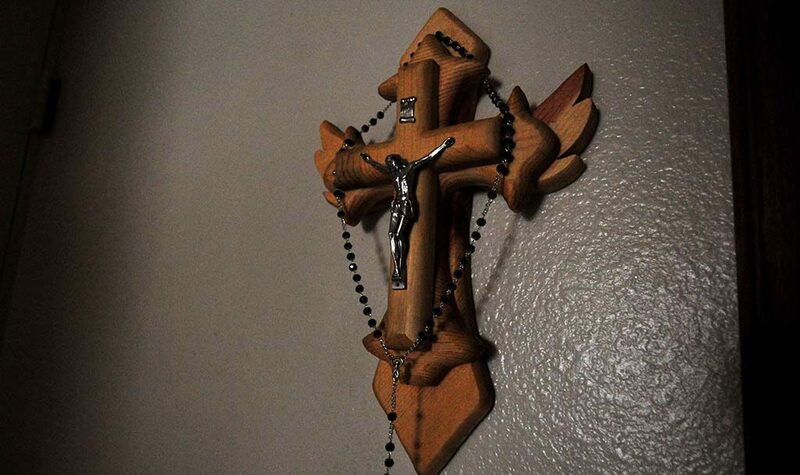 Other than a short time in his life after he first moved to the United States when he was too poor to buy supplies, Blanco has been relentless in his calling to make rosaries. 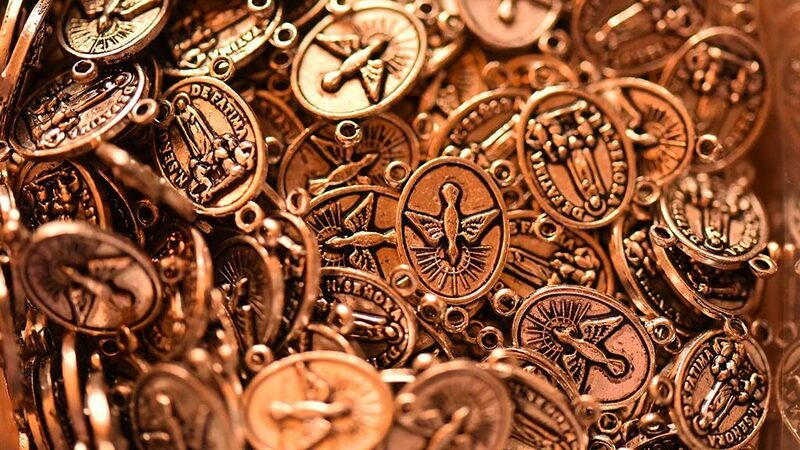 God knows how many he has made, but his work has found its way into houses around the globe from the Philippines to Haiti to Cuba. Already this year, he has made around 400. 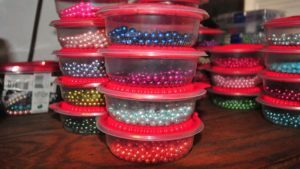 He recently bought enough materials to produce 1,600. Iris said she has a million stories about how people are comforted by the beads with crucifix and medal — even if they are not Catholic. Blanco likes to tell the story of when he was flying to Miami, making his rosaries in flight, and an attendant inquired what he was doing. He explained and gave her the completed rosary. 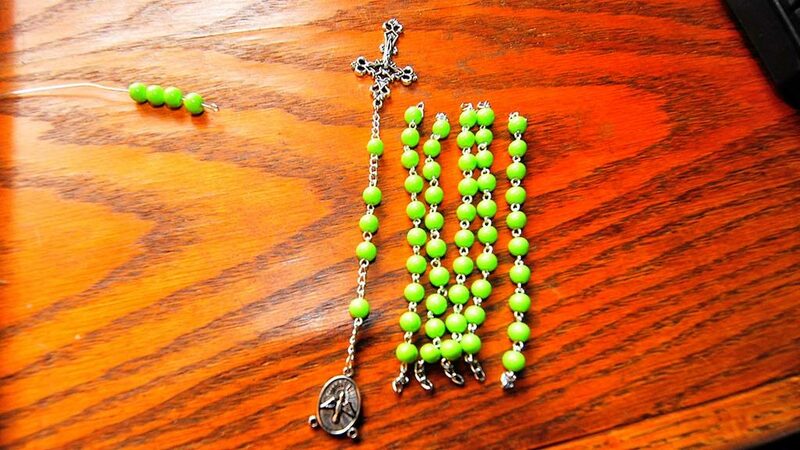 Blanco tells of people, who upon receiving the rosary, say they haven’t used theirs since childhood or have one but had misplaced it. 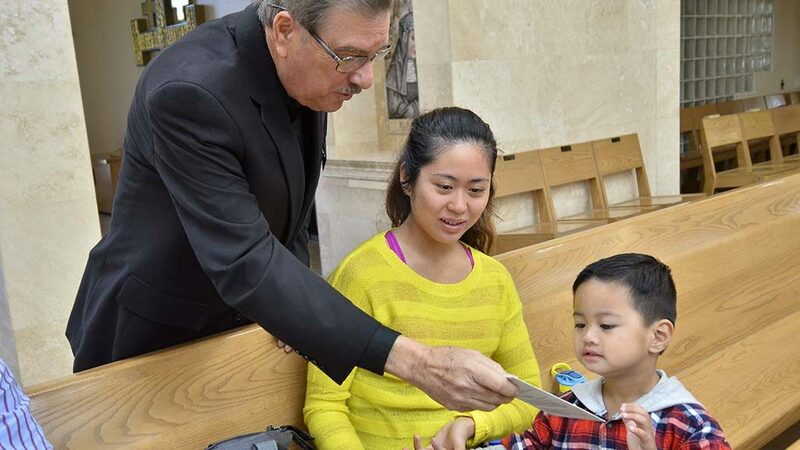 As a member of the Holy Rosary Society of Corpus Christi Church, Blanco gives his rosaries to families who host the weekly prayer groups. The Rev. 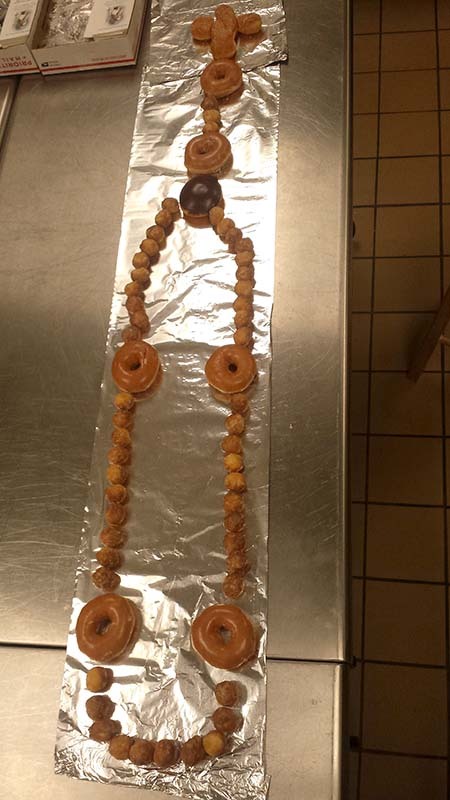 Efrain Bautista looks on as Tony Blanco reveals his rosary-shaped donut delight. Photo courtesy of Tony Blanco. Blanco’s lighter side peeks through occasionally. Upon hearing that his pastor’s favorite indulgence was Krispy Kreme donuts, Blanco created a comically oversized “rosary” with donuts, donut holes and crullers standing in for prayer beads. His wife, Rosa, and great-grandson, Santese, help place the beads on wire and cut pieces of chain. 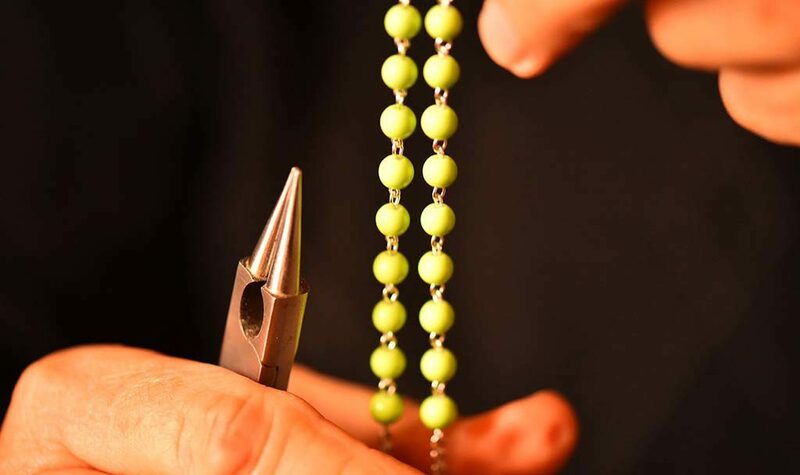 It then takes him about 40 minutes to complete a rosary. 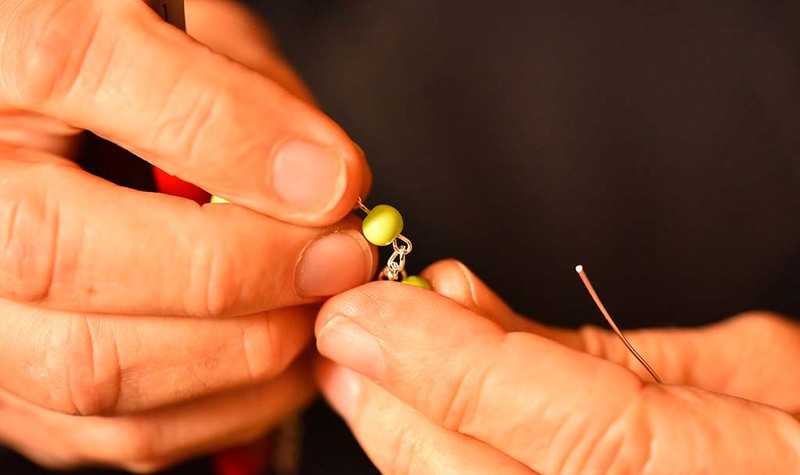 While he often prays the rosary as he makes them, the time it takes to complete a rosary varies because sometimes his eyes dart back and forth as he takes in the exciting part of his two favorite sports — baseball and boxing. 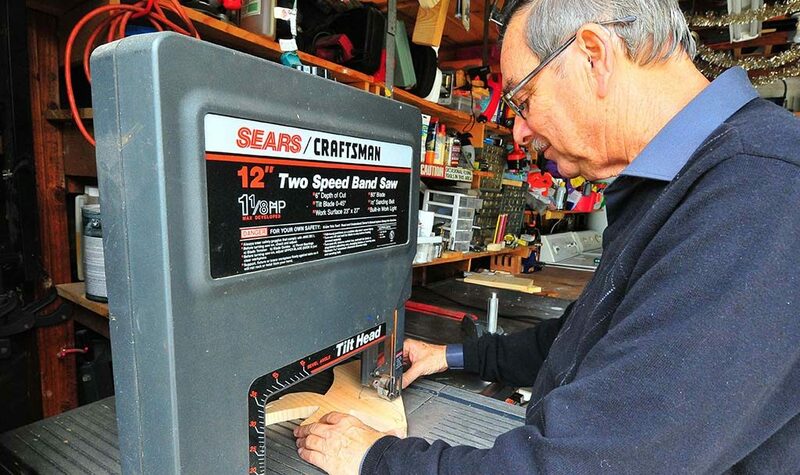 The baseball interest is understandable since his children, grandchildren and great grandson in the sport. 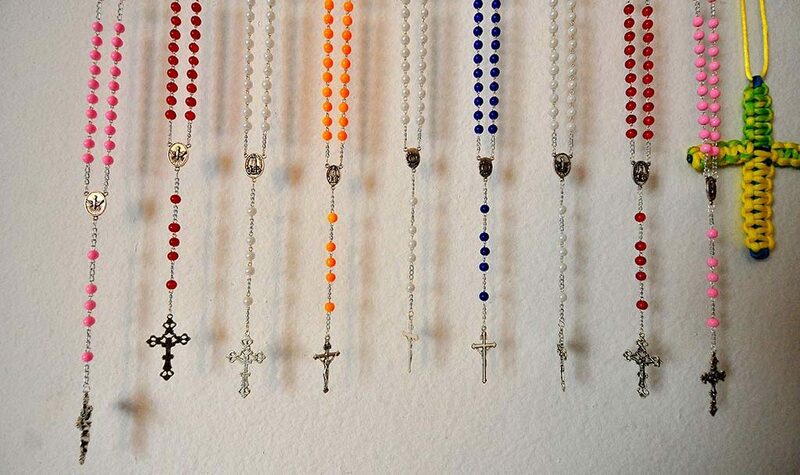 The little ones’ trophies sit in a cabinet next to the hanging rosary beads. 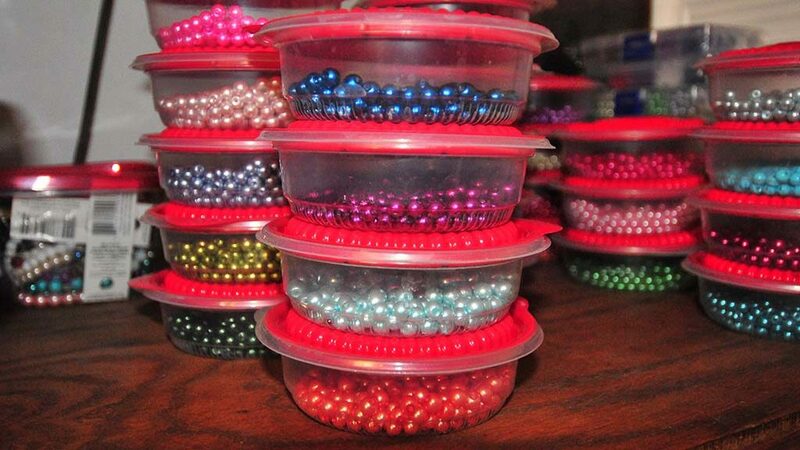 While beads vary in size — 6mm for rosaries for babies (as keepsake) — special occasion rosaries are made with 8mm spheres. 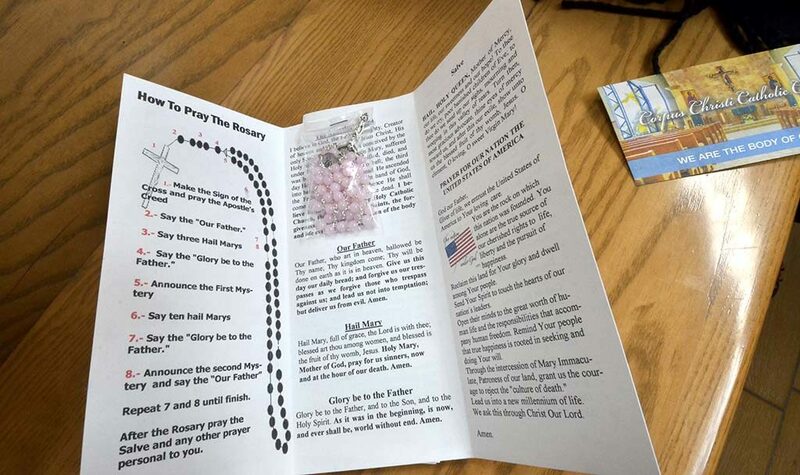 He places each rosary in a folded pamphlet containing instructions for saying the rosary (five sets of “decades” with additional prayers). 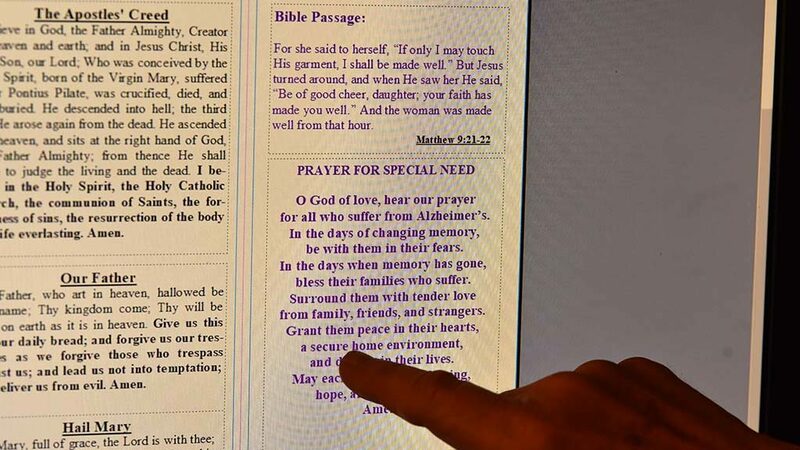 He also has a website: praymyrosary.com. 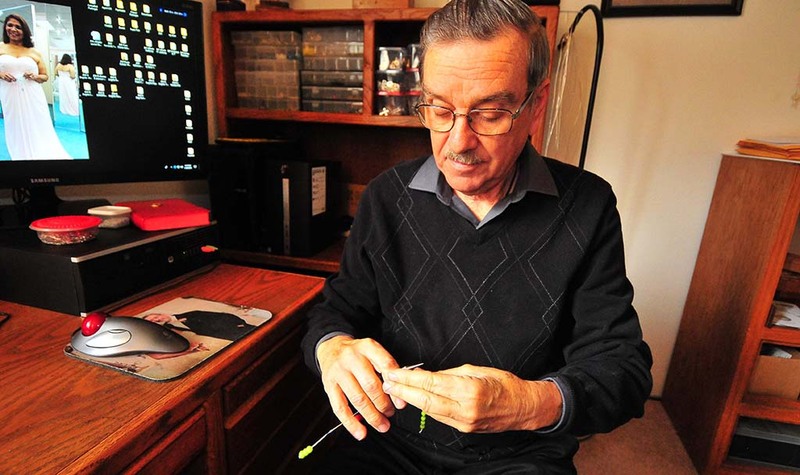 Blanco has customized rosaries for special needs – cancer, Alzheimer’s and kidney problems — on which he adds colored beads for prayers for those ailments. Blanco has a sense of satisfaction about how far his rosaries have traveled. 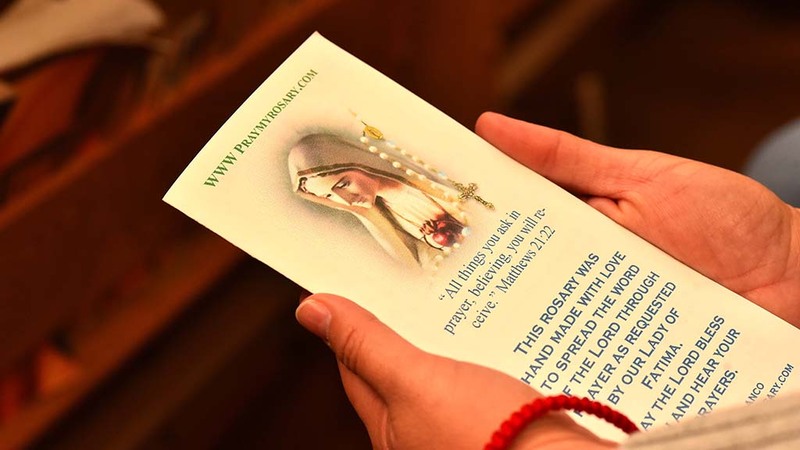 Several have been blessed by Pope Francis at the Vatican. How long will he continue his mission? 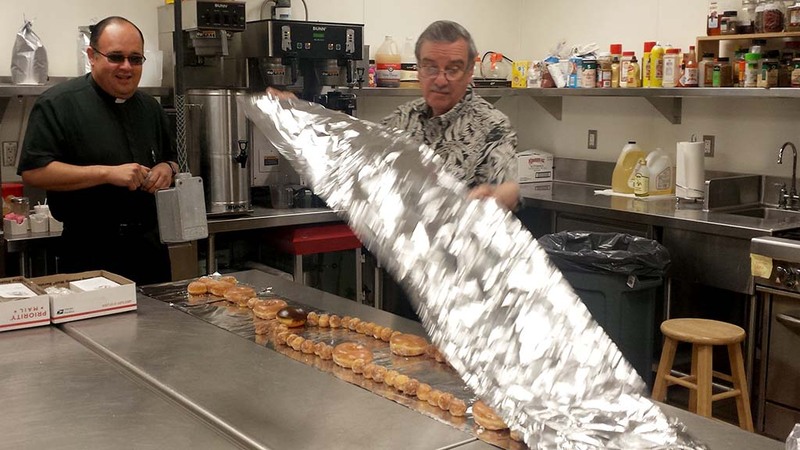 “As long as my hands allow me,” he said.